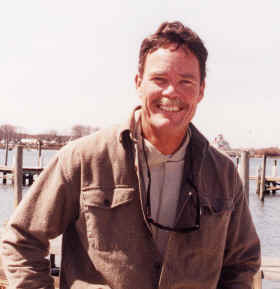 Capt Skip Rudolph is a third generation fisherman and has made his living entirely from the sea, from the Gulf of Maine to the Caribbean. 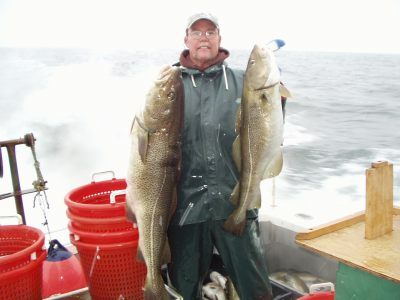 Growing up on his fathers boat, he learned that people come out fishing for two reasons, to catch fish and to have a good time. Professionalism and courtesy brings them back. His reputation is well known along the entire east coast of the United States for his tournament winnings and showing his clients a first class time! My father and I, yup, he started me early! Cat Cay,Bahamas 53 miles east of Miami. "Tuna Alley" 1941. The good ole days! Cat Cay,Bahamas 53 miles east of Miami. "Tuna Alley"
1941. The good ole days! Me on the left and Capt. Charlie Harned. we fished the Star Island Tournament back in '88. He beat me by a mere 26 lbs. Hey, what are good friends for? 26 lbs. Hey, what are good friends for? Night Swordfishing off Miami Beach back in '78. This one tipped the scale at 364 lbs. Yeah, thats me! tipped the scale at 364 lbs. Yeah, thats me!